If you came to this site, you are looking for information on hardwood floor installation. You may be a very capable person and have decided to install hardwood floor in your house by yourself. Or maybe you’re a professional installer, and your goal is to expand your knowledge, and at the same time share your experience with your colleagues. Maybe you are interested in the profession of floor installer, and in the future you want to make money by installing hardwood floor for others. Or maybe you are a homeowner, who has decided to improve the appearance of your floor by hiring professionals, and want to keep abreast of everything that happens during your floor installation. So, when you do hardwood installation, it doesn’t matter who you are or what is your profession is. More importantly, it is that you want to know more about this type of floor and its installation. So let’s start! Any business, even the smallest one, begins with planning. So if you plan a hardwood floor installation in your house, apartment or even in just one room, you should know that there is a certain order of action you must take. Step One. First you need to measure the area of the room where you want to install your hardwood floor. Then find out what the quality of your sub-floor is. It can be cement or wood. Sub floor’s quality significantly affects the choice of type of hardwood. To learn the method of hardwood floor installation, you also need to figure out what the quality of your sub-floor is. Now, after selecting the type of flooring and method of installation, you can choose the color, and finally acquire the material. Of course, to make installation of this flooring you need a specific set of tools, a detailed description of which can be found in several articles and posts on this site. Now, let’s go back to the action plan your installation. The sub-floor preparation and leveling. I recommend to make a leveling as seriously as you install a hardwood. The better made leveling, the better and longer your hardwood will serve you, your family or your customers. There is also a set of tools for leveling and several different techniques of it. 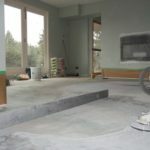 These techniques depend on the quality of leveling sub floor, tile’s and carpet’s height to which you will need to connect one of the sides of hardwood in the future and even from other circumstances. We are not focus on the cost of materials and labor at this time. 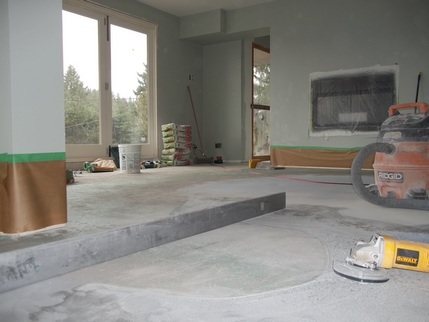 Buy the way I want to tell you that you can find a material at a cheaper price, but I do not recommend you to save on the cost of the leveling and make it as perfect as possible. The next stage of installation – the choice of direction. It is fact that with help of the direction and color of the material, you can make the room visually larger, smaller, wider, and narrower. More information about this technique you can also read in one of our articles on this site. Sometimes the floor plan itself dictates the direction you are laying, and you just need to follow it. The choice of the direction of hardwood is also influential at the aria (or a wall) from where you start working. The house/apartment floor plan may also affects at the starting point. Due to the fact that there are several types of flooring (and, of varying quality), during its installation you will often come across the wood strips that do not fit either the color or texture, or for some other reason. A good floor installer can find defective piece of wood, but never throws them! Where and how you can install them with advantage? Think of it. If the house (apartment, commercial premises) in which you are making wood floor installation, has a room with another type of flooring, such as tile or carpet, then before you start working, you must determine how you will make a nice transition between two different materials. To do this you need to find a suitable transition. I want to emphasize that transitions needed only when you need to connect two different floor surfaces. All aria of the house should look as a whole level and do not have unnecessary obstacles. Do you remember as you plan where you start laying hardwood? So now you must plan how and where to finish working. And the last point of your planning – make your premise to look finished. Based on the color and size of the room, you must find the right size of baseboards and properly to install them (it has a totally different art and technique). If your leveling was not very successful, then you can use moldings to close the gap between the floor and baseboards, or simply set them as decoration. So, before you start your installation, you must have a clear plan for your actions, which lead you to success with no problem. Once again – welcome to the hardwood floor installation. I hope that the information you will find on this site will help you make all your projects the most remarkable and unforgettable! For more great tips on hardwood floor installation read our other articles and posts.